Nearly half of the 1.2 billion people living below the poverty level in 2010 were in Africa. In Africa, the Solidarity Center seeks to empower the labor movement and promote worker rights by organizing workers and strengthening their voice at the bargaining table; protecting their rights on the job and ending the scourge of child labor, forced labor and human trafficking. Although many countries in sub-Saharan Africa are seeing tremendous economic growth through oil and mineral exports, the emergence of a textile sector and expanding foreign investment, workers and their families are not sharing in the prosperity. Instead, more than 80 percent of the world’s poorest countries are located in Africa, and of the people living below the poverty level in 2013, more than half were in Africa. Elsewhere, poverty ranges between 4 percent and 14 percent. Approximately one in three people living in sub-Saharan Africa are undernourished. With few formal, full-time jobs available, increasing numbers of workers are turning to the informal economy to support their families. 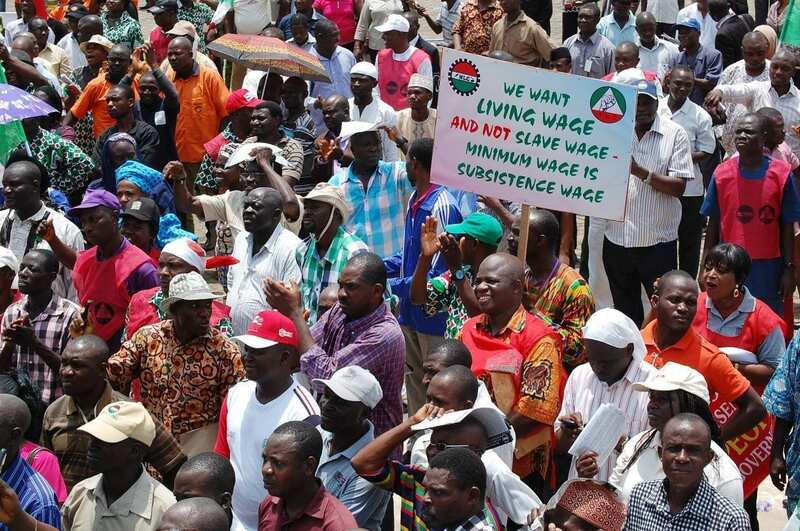 Trade unions across the continent are reaching out to street vendors, domestic workers, agricultural employees and others in the informal economy to provide a collective voice for achieving social benefits, higher wages and job stability. Their efforts recognize that sustainable development and inclusive economic growth are only possible when gender inequity, a key human rights component, is integrated throughout the process. In 2000, the United States passed the Africa Growth and Opportunity Act (AGOA), which gives eligible sub-Saharan countries duty-free access to the U.S. market for a variety of products. To qualify, countries must take measures that promote good governance and a fair economic system. These include fundamental labor rights; the rule of law and political pluralism; a system to combat corruption; and economic policies that reduce poverty, increase access to health care and education and expand physical infrastructure. 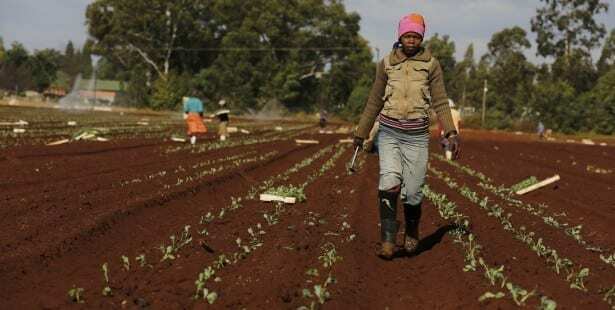 Swaziland lost eligibility for benefits under the AGOA in 2014 because the Swazi government had not demonstrated progress on the protection of internationally recognized worker rights, in particular, protecting freedom of association and the right to form unions. Since AGOA has been in effect, it has increased exports from sub-Saharan Africa but has not spurred broader development or fostered a robust and equitable economic system. AGOA was reauthorized in September 2015.